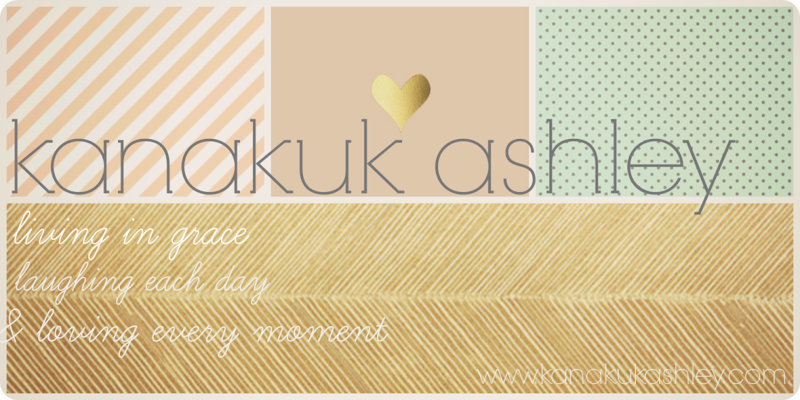 I must admit I don't know much about what I am blogging about today? 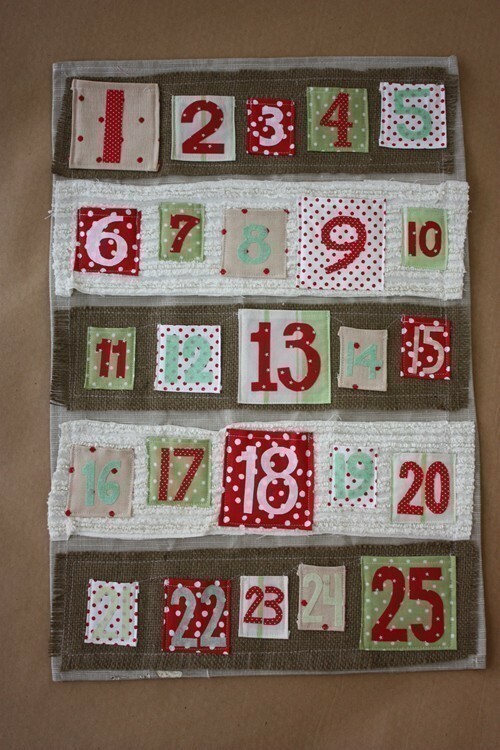 I have heard so much about advent calendars. On Etsy (surprise!) they have super cute ones (hello, see the one above...I love it!) but I guess I just don't quite understand. 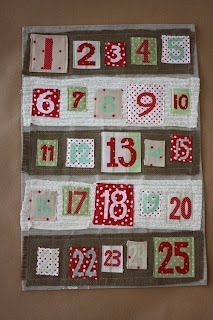 Off the cuff I think you put little bitty gifts in each little number box and count down the days till December 25th. Or maybe you could put little notes of things to be reminded of the blessings during this season...or maybe you just put a part of an itty-bitty nativity scene and each day gains a new member to the scene. Or maybe you can do whatever you want in them...good thoughts. When Casey and I were growing up we had this box that we decorated and each day in December we opened an envelope thing. Inside the envelope there was a bible verse that pertained to the christmas story so we would read it out loud and then talk about it or whatev and then there would be some small gift in the majority of the envelopes. Not every envelope had a gift but most did. The gifts were anything from little nativity ornaments that we hung on our trees (me and casey each had our own trees in our rooms because a lot of our friends and relatives would give us ornaments a gifts) or things like chapstick, nail polish, makeup, occasionally we would get something bigger like a book or movie or manicure/pedicure giftcards, it just depended on what was in that year. But it was a fun tradition that we enjoyed.....we stopped doing it when I went away to school so we havent done it in a while. But I def recommend it for anyone. Ashley! HI! My brother and I grew up doing a Christmas tree advent calendar that had different little cute things to put up( an angel, a star, a snowman, a present, an reindeer, a reath..etc). We always wanted to be able to put up more days than each other and who was lucky enough to get to put up santa on the 25th(mom got to decide). They are soo fun and I'm sure there's a cuter calendar than the one we did but I know my brother and I woke up everyday and were excited to put up our days each morning before school and looked forward to doing it every christmas!